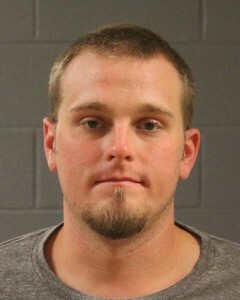 UPDATE: 12:15 p.m. – Richard Scott Labrum, 26, of St. George, was arrested late Wednesday morning on aggravated robbery and theft charges for his alleged involvement in the incident, St. George Police Officer Lona Trombley said. Labrum parked outside the business and called inside to talk to employees, Trombley said. He asked various questions, hung up, then entered the business and brandished a knife. Police recovered $355 in Labrum’s possession that was allegedly taken during the robbery. 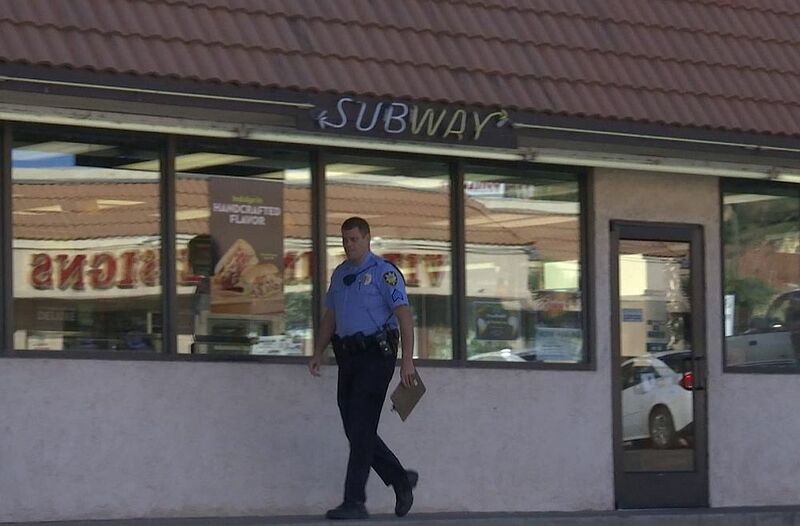 ST. GEORGE – Police were out in full force Wednesday morning, searching for a suspect allegedly involved in an armed robbery at a St. George sandwich shop. 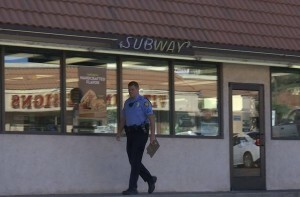 At approximately 9:17 a.m., police received a report of an armed robbery at Subway located at 514 N. Bluff Street, St. George Police Capt. Mike Giles said. Giles added that the suspect is about 6 feet tall and has a medium build. No one was injured during the incident, he said. Officers from the St. George Police Patrol and Investigations Division responded and are currently investigating the incident. No estimate was available regarding the monetary loss to the store. Police are asking anyone in the area around the time of the incident who may have seen something believed to be related to the robbery, or who have any information regarding this incident, to contact the St. George Police Department at 435-627-4300. This is a developing story and investigation. Information will be updated as it is made available. This report is based on preliminary information provided by law enforcement responding to the scene and may not contain the full scope of findings. St. George News Assistant Editor Kimberly Scott contributed to this report. Holy guacamole!!! We’ve been robbed!!! Love that the picture heading this story caught that. So, this genius robs a store in the morning,right when they open. They probably have barely enough cash in the drawer to make change. At least he is a smart robber. Probably got enough money for the dollar menu at McDonald’s. Key to this story: How did the police capture him? Was it because they traced his cellphone account and found him at home on the sofa?